For saving physical space and prevent hard disks from damages, many people prefer to backup their BD/DVD collection to ISO image files. It is actually considerate behavior. But sometimes this measure maybe result in playback issue. For example, from our customer feedback, one client said that he had many ISO images stored in a USB hard drive and a Sony Bravia HDTV just bough recently. when he wanted to play these ISO images on Sony Bravia HDTV via USB hard drive, it did fail. He hope that we can help him. From Sony Bravia HDTV compatible format via USB in user manual, we can clearly get that ISO can't played on Sony Bravia HDTV via USB. The most compatible format for Sony Bravia HDTV is H.264 MP4. So for watching ISO on Sony Bravia HDTV via USB, you can transform ISO to Sony Bravia HDTV playable MP4 format. 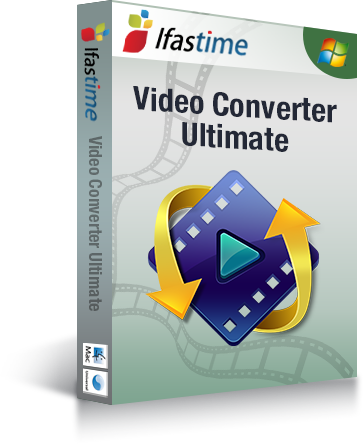 With our product iFastime Video Converter Ultimate, you can easily convert ISO to MP4, MPEG, WMV, ASF, etc video for playing on Sony Bravia HDTV via USB. It allows you to adjust the video and audio codec, size, bitrate, frame rate, etc, to get better video playback on Sony Bravia HDTV. If you are a Mac use, you can turn to Mac workaround. 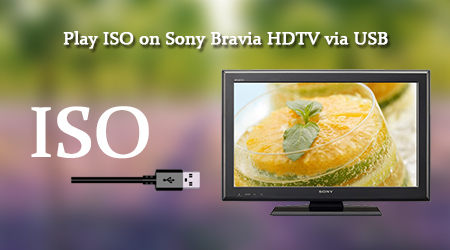 How to transcode ISO to Sony Bravia HDTV on PC? Click "Load file(s)" to import the ISO image to the app. After the source video is loaded, you can preview them on the right and take snapshots of the movie scenes you like. 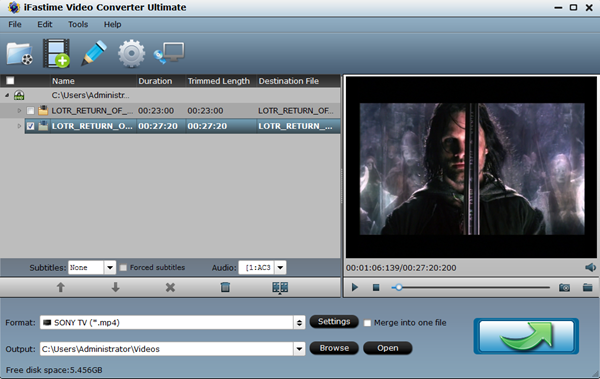 Furthermore, you can select your desired subtitle and audio track. Hit "Format" and you will find the "TVS" profile. In this column, it lists the optimized format for the main popular TVs. You should choose "Sony TV(*.mp4)" for your Sony Bravia HDTV. Tip: Click "Settings", you can adjust video and audio parameters according to your needs. Hit "Edit" button on the top menu, you can do some special video processing, such as video footage trim, unwanted area cropping, external subtitle adding and so on. 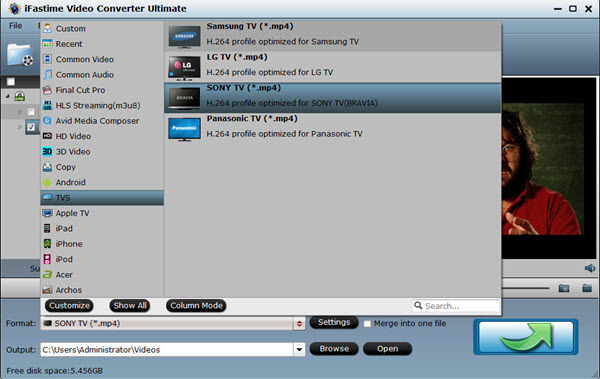 When all settings are done, click "Start conversion" on the main interface to start convert ISO to MP4 for Sony Bravia HDTV. Once the conversion completes, click "Open" to get the converted videos and copy them to USB hard drive. After this process, now try to insert the USB hard drive to Sony Bravia HDTV, you should be able to watch the ISO image on Sony Bravia HDTV successfully. How to Rip DVD to ProRes on Windows 10/8.1/8?